CLOVIS – The Clovis Chamber of Commerce will be bringing more potential customers inside Clovis and Fresno businesses with its Small Business Treasure Hunt, taking place from Nov. 30, which is Small Business Saturday, through Dec. 15. Treasure hunters throughout Clovis and Fresno will be walking into the event sponsors’ stores and offices to get their treasure map stamped. For every business they visit, they’ll get an entry for dozens of holiday gift certificates. Promotion of the Treasure Hunt will be on all 7 Clear Channel radio stations and to the Clovis Chamber of Commerce’s 6,000 social media followers. Participating businesses will get more foot traffic for a very small investment. Sponsorships are available until today, Friday, at 5 p.m. or until they are all taken. 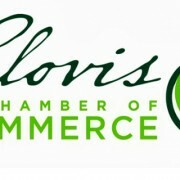 More information can be obtained now by watching this quick video at http://www.youtube.com/watch?v=1wzrTza_mME and/or visiting www.clovischamber.com/treasurehunt to download the application. Fax it in or call Beth Bridges at (559) 299-7363 to pick it up right away.